Finely chop garlic and basil. Roughly cut lobster into bite-sized pieces. In a large saucepan, cook linguine in salted boiling water over medium heat for approx. 7 – 12 min. until al dente. Drain and set aside. Reserve a small amount of pasta water for step 4. In a large frying pan, sauté lobster in butter over medium heat for approx. 3 – 5 min. 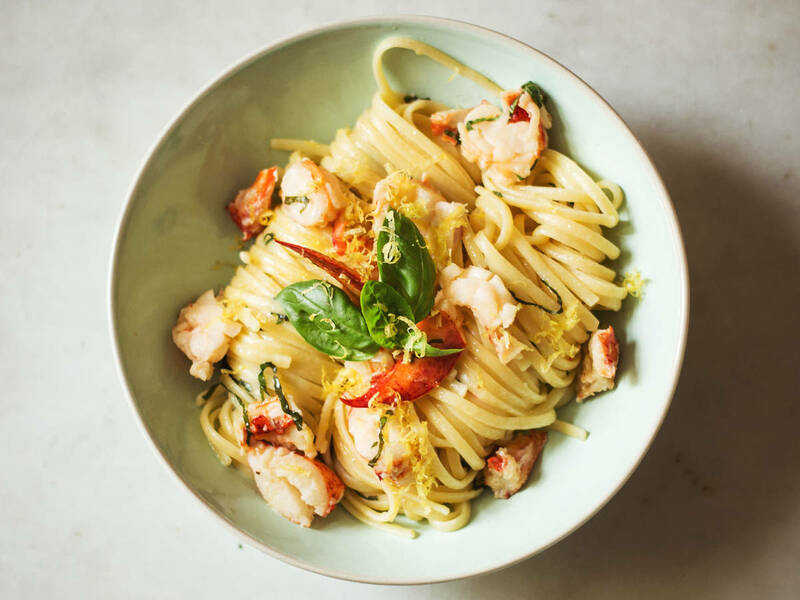 Add cooked pasta, a bit of pasta water, garlic, lemon juice, and basil to the lobster and stir to thoroughly combine. Season to taste with salt and pepper. Transfer to a plate for serving. Enjoy!